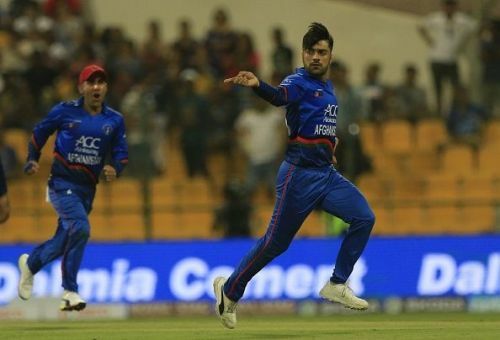 Australian all-rounder Ben Cutting believes that Rashid Khan is the bowler in the world. The 31-year-old, who is currently captain of Nangarhar Leopards in the Afghanistan Premier League 2018 also thinks that cricket in Afghanistan is in a "pretty good spot". Cutting has got off to a great start for Nangarhar Leopards with both bat and ball. He is the tournament's leading wicket-taker with eight wickets in two matches and has the best figures so far as well. He is also one of only six players to have hit a fifty so far, which he got in the second match, where his all-round effort of 71 and 3/25 went in vain as the Leopards lost for the first time in APL 2018. When asked about whether he would be interested in playing in next year's APL if it is held in Afghanistan, Cutting was non-committal. "That is a hard question for me. It obviously depends on what time of year it is. There are so many other tournaments going on at the moment," he added. The 31-year-old, who was playing in the CPL before the APL added that playing as a freelancer in various T20 tournaments around the world isn't for everyone and not the way forward but admitted that he is happy doing it. "I don't think it is the way forward for the entire sport but it suits certain people, certain personalities. I have my own reasons between retiring from Cricket Australia and Queensland to come and play these tournaments and I am much happier now doing what I am doing than I was in the last couple of years playing cricket," he concluded.